Who Set the Bowls Out? 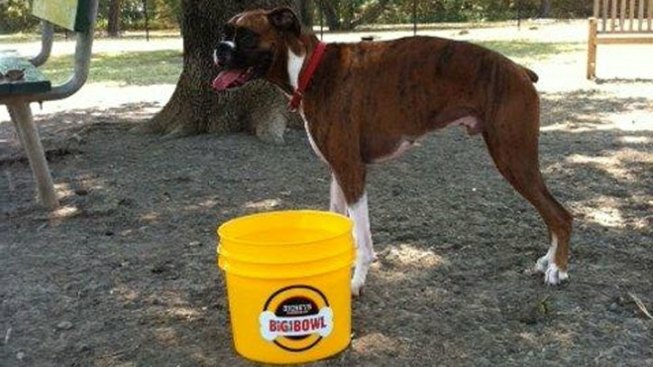 George (with a Dickey’s Big Yellow Bowl), trying to pretend it’s not 109 at the White Rock Lake dog park. Dickey's Barbecue Pit is going after dogs, not to the dogs, mind you, after. Then again, they can't speak for what customers do with their leftovers, so some of the barbecue might just go to the dogs. Restaurant management, though, decided to help out canines in need of a drink — and who doesn't? — while playing at area dog parks. 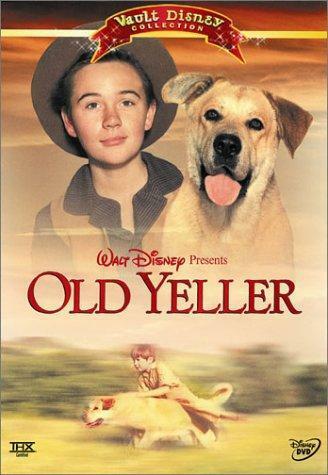 Dickey’s took its signature Big Yellow Cups concept and spun off Big Yellow Bowls — not Old Yeller [sniff] Bowls — to place at the White Rock Dog Park, for starters, Griggs Park in Uptown Dallas, and a few others. It’s up to the dogs’ humans to fill the bowls with water — c’mon, you have to take some responsibility, Dickey’s people can’t go running around town filling the bowls every time they’re empty or half-full of slobber; and speaking of responsibility, do, please, pick up the poop and dispose of it properly, thank you — but at least a fairly new, clean 2-3 gallon container is out there. Now, there’s a target market sure to lap up the promotion. OK, yeah, sorry. Bruce Felps owns and operatesEast Dallas Times, an online community news outlet serving the White Rock Lake area. He’s a fan of the Dickey’s water bowl program.